View from the dealing floor. Analysis and opinion from the dealers at IG in London. 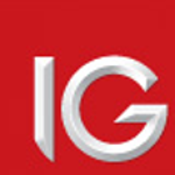 IG is a leading provider of CFDs, spread betting and forex. Spread betting and CFD trading can result in losses that exceed deposits. This information has been prepared by IG, a trading name of IG Markets Limited. The material on this page does not contain a record of our trading prices, or an offer of, or solicitation for, a transaction in any financial instrument. IG accepts no responsibility for any use that may be made of these comments and for any consequences that result. No representation or warranty is given as to the accuracy or completeness of this information. Consequently any person acting on it does so entirely at their own risk. Any research provided does not have regard to the specific investment objectives, financial situation and needs of any specific person who may receive it. It has not been prepared in accordance with legal requirements designed to promote the independence of investment research and as such is considered to be a marketing communication. Although we are not specifically constrained from dealing ahead of our recommendations we do not seek to take advantage of them before they are provided to our clients. Open Sesame: What Is Alibaba Worth? Fracking: Economic Opportunity Or Environmental Time Bomb?